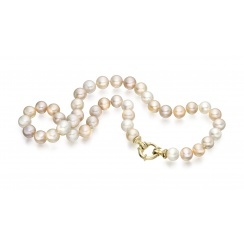 A luxury pearl necklace, made with the finest quality cultured Freshwater pearls which will shine with the pastel colours of summer, and completed with an 18 carat yellow gold clasp. One of our most beautiful necklaces, the apricot, pink and lavender hues of these pearls are natural, without treatment for colour. 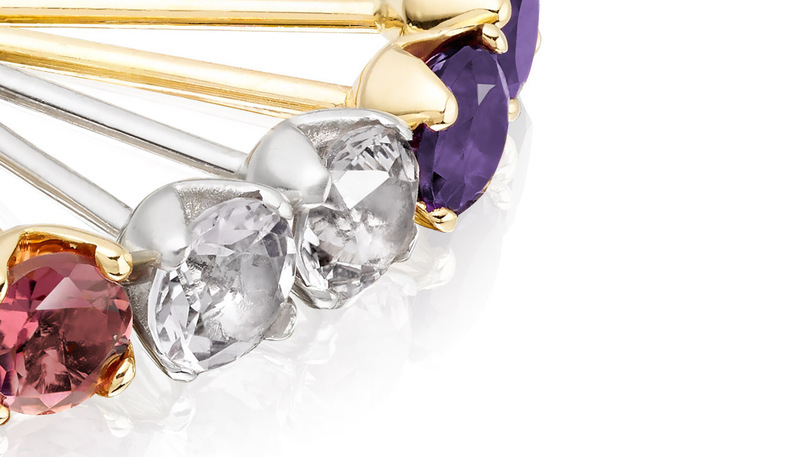 The pastel colours are perfect for lazy summer days or for brightening up a cold winter's outfit. 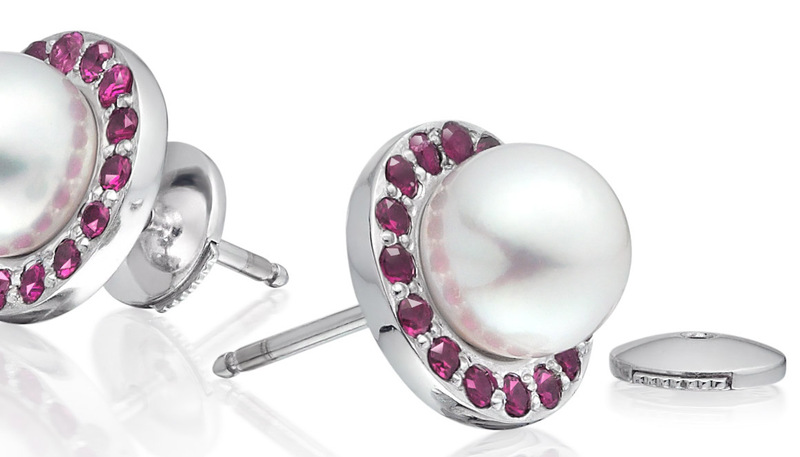 The pearls are cultured in China in freshwater mussels. 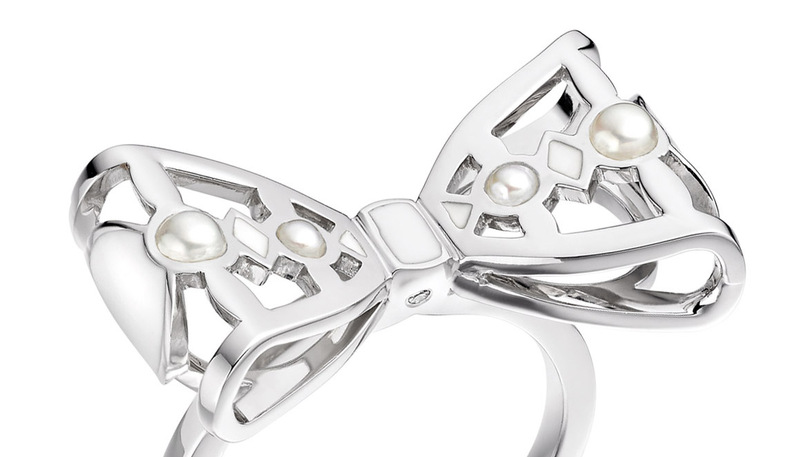 We individually select pearls for their high quality and choose pearls that have an excellent shine, colour and lustre. 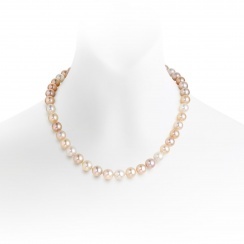 The princess length necklace is 45cm long and is made with pearls measuring 9.5-10.5mm diameter, which have a more contemporary and luxurious style than smaller pearls. 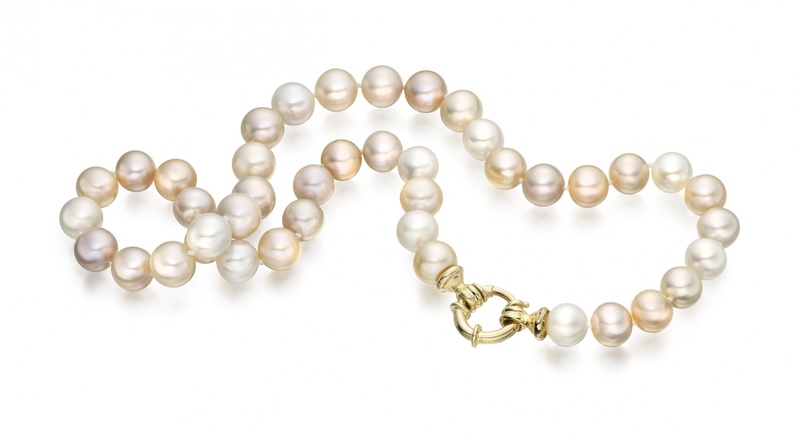 Each necklace is strung by hand, with knots between each pearl for safety, and completed with an 18 carat yellow gold spring ring clasp. 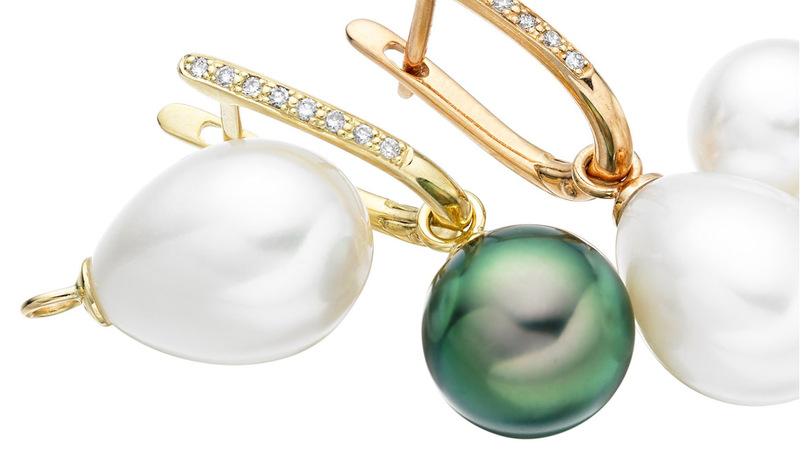 This necklace can be easily matched with a pair of freshwater pearl earrings or a multi-coloured pearl bracelet.